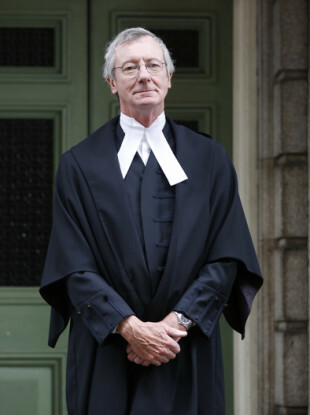 PETER CHARLETON WILL be replaced by Justice Sean Ryan for the next phase of the Disclosures Tribunal. Charleton had always intended to only deal with the first 15 terms of reference in the Tribunal which almost all relate to Sergeant Maurice McCabe, with one also concerning Garda Keith Harrison. The modules about the alleged smear campaign against McCabe is by far the most pivotal in the whole Disclosures Tribunal. It finished with its witnesses last month, after almost 100 days of hearings. Charleton will return to the Supreme Court when his report is completed and Mr Justice Seán Ryan will be appointed to chair the next modules of the Disclosures Tribunal. Charleton is expected to complete the report in the autumn, with its publication expected in October. The next phase of the Tribunal will deal with any other complaints by a member of An Garda Síochána who made a protected disclosure prior to 16 February 2017, and who feels that they were targeted or discredited as a result. Justice Ryan retired as President of the Court of Appeal in March, a position he held since its establishment in 2014. Prior to that, he was a Judge of the High Court. He also served as Chair of the Commission to Inquire into Child Abuse, which reported in 2009. The Minister for Justice and Equality Minister Flanagan said: “I am very grateful to Mr Justice Ryan for agreeing to undertake this role. I believe that as a result of his vast judicial experience, he is very well qualified for this position and will ensure the continued effective running of the Tribunal. Email “Charleton to be replaced by Justice Sean Ryan for next Disclosures module ”. Feedback on “Charleton to be replaced by Justice Sean Ryan for next Disclosures module ”.